From the minute you sit inside your Nissan, we are committed to protecting your wellbeing. One way we do this is with our 24-Hour Roadside Assistance package. It comes completely free for the first three years – making sure that whatever obstacles you come across, we will be right beside you. 24-hour roadside assistance is available across all of Thailand. You can call for a helping hand wherever you are. Just call the number 02 205 7778 for 24-hour roadside assistance. Our expert technicians are available to help whenever you need it. Our staff is on hand to offer support in multiple languages, including English. On-call technicians will help solve the problems and answer any questions you may have. We will send someone out if the issue can be solved at your location, such as flat tires, problems with your batteries, running out of petrol or if you lock yourself out of the car. If the problem cannot be fixed immediately, we will send a tow truck from the nearest Nissan car service center. When you travel from your permanent residence for a period of more than 150 miles within 90 days in Thailand, the service covers the following benefits. * The Emergency Repair Service mentioned above is for when your car malfunctions. It does not cover any accidents. Moreover, the services rendered are based on the terms and restrictions of the Emergency Repair Service. ** The Emergency Medical Support Service covers only Thailand and is for the car owner and his/her family members (family members include the owner’s spouse and children under 18 years old) whose names have been given to Nissan Roadside Assistance. Limited to 5 persons maximum and they must travel together. ** The above-mentioned service covers up to Baht 500,000 per incident, based on the terms and restrictions of the service. “Cars” means personal four-wheel cars, not including taxicabs, public vehicles, vehicles for commercial purposes or motorcycles. Cars that are older than 7 years. Cars that are modified or altered without permission according to the standards of the car manufacturer, or vehicles that are modified or altered for racing purposes or any accident or claims arising from the race or participation in the race thereof. Cars that carry a combined weight, including passengers, greater than the standard determined by the car manufacturer; or misuse of the vehicle. Costs in the event that the car malfunctions due to fuel or fluid being empty. 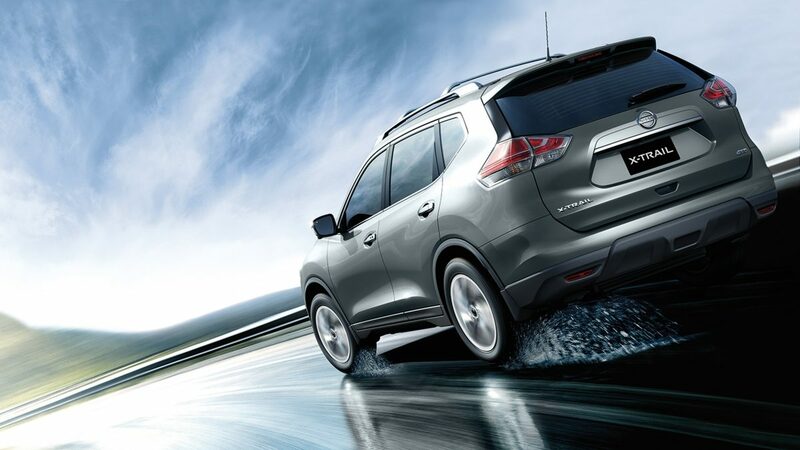 However, Nissan Roadside Assistance can arrange for technicians to help you provided that the cost is incurred by you. Cars which are driven on inappropriate terrain, or cars which have not been maintained in accordance with the car manufacturer's recommendations, or cars which have not been maintained for 12 months since the last maintenance. Nissan Roadside Assistance will not be responsible for the cost of damages in the event that the cars are maintained by a service centre that does not meet the required standards, or from an error on the part of the reseller’s technician, service centre or garage, within 14 days prior to being submitted to have such issues resolved. Nissan Roadside Assistance cannot render service if the client is not present with the car during the service. The Emergency Medical Support Service does not cover the costs incurred for the reasons and/or events specified below, unless it obtains written approval from Nissan Roadside Assistance. Costs due to patient transfer for medical care and/or transport of patient back to his/her residence on more than one occasion per illness or per each injury within the year. Costs that are not covered under the Nissan Roadside Assistance service and without obtaining written approval by Nissan Roadside Assistance in advance and/or for work not performed by Nissan Roadside Assistance. This restriction does not include emergency evacuation from a remote area in which Nissan Roadside Assistance cannot be contacted in advance and that delayed evacuation may pose a risk to the patient’s life. Any incident that occurs during the patient’s travel for not more than 150 km from the residence of which Nissan Roadside Assistance has been notified. Any costs incurred because the patient travelled for more than 150 km from his/her residence, which is against the physician’s recommendation, or with a purpose to recover or rest after an accident, illness or pre-existing condition. Expenses from transporting patient to receive treatment or returning the patient to his or her residence, following recovery from a critical condition and/or if Nissan Roadside Assistance's doctors see that the patient could be treated within that area, or treatment could be given after returning within a distance of no more than 150 km from his/her residence. Costs due to the transfer of the patient to hospital or transport of the patient to his or her domicile, in the event that the physician of Nissan Roadside Assistance discerns that the patient can travel as a normal passenger without being attended to by physicians. Costs incurred due to parturition, neonatal death or pregnancy. This restriction does not include abnormal pregnancy or pregnancy with complications, which are dangerous to the life of the mother and/or the infant, within the first 24 weeks of the pregnancy. Any costs incurred due to accident or injury while the patient is in caves; mountain or cliff climbing that requires assisted tools or ropes; caverns or sinkhole exploration; parachuting; bungee-jumping; travelling with a balloon or gliders; deep diving that requires respirator; martial arts; car racing; any other race that is not walking or running; professional sports; or sponsored sporting events. Act of Terrorism means any violent acts, including any acts from an individual or a group or groups of people, which are intended to create fear, or are perpetrated for a religious, political or ideological goal against humanity. Place of residence/permanent residence means your residence in Thailand as declared to Nissan Roadside Assistance. Pre-existing condition means a condition of the service receiver which has been treated within 12 months prior to the coverage date of Nissan Roadside Assistance, or a condition which has been treated by a physician with a prescription within 6 months prior to the coverage date of Nissan Roadside Assistance. Serious medical condition means illness/injury that a physician deems to be very serious and needs immediate medical attention to avoid death, disability or poses a risk to long-term health. The level of seriousness of a condition is discerned from factors related to the current location of the service receiver, the nature of the medical emergency and the availability of medical equipment which is appropriate for the treatment.